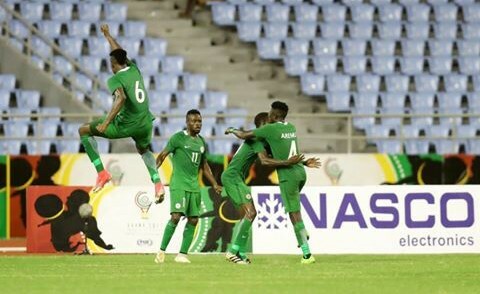 The home-based Super Eagles have qualified for the semi-final of the ongoing WAFU Cup of Nations with a crucial 2-0-win on Monday night over the Black Stars of Ghana. After poor displays against Mali and Guinea in their earlier group games, the Super Eagles were condemned to beat hosts and fierce rivals, Ghana, in the encounter to stay alive in the sub-regional competition. It did not start so well for the Coach Salisu Yusuf-tutored side as they fired blanks all through the first half while Guinea were already a goal up in the other game against Mali. Things, however, took shape as the Eagles scored two goals in the first 10 minutes of the second half to seal the three points that take them to the semi-final. Anthony Okpotu broke the deadlock in the 52nd minute before Peter Eneji doubled the advantage for Nigeria.